This rotating upright spinner is too extraordinary to be called anything but the SkyWheel. Indeed, it was the second tallest Ferris Wheel when it was built in 2011. 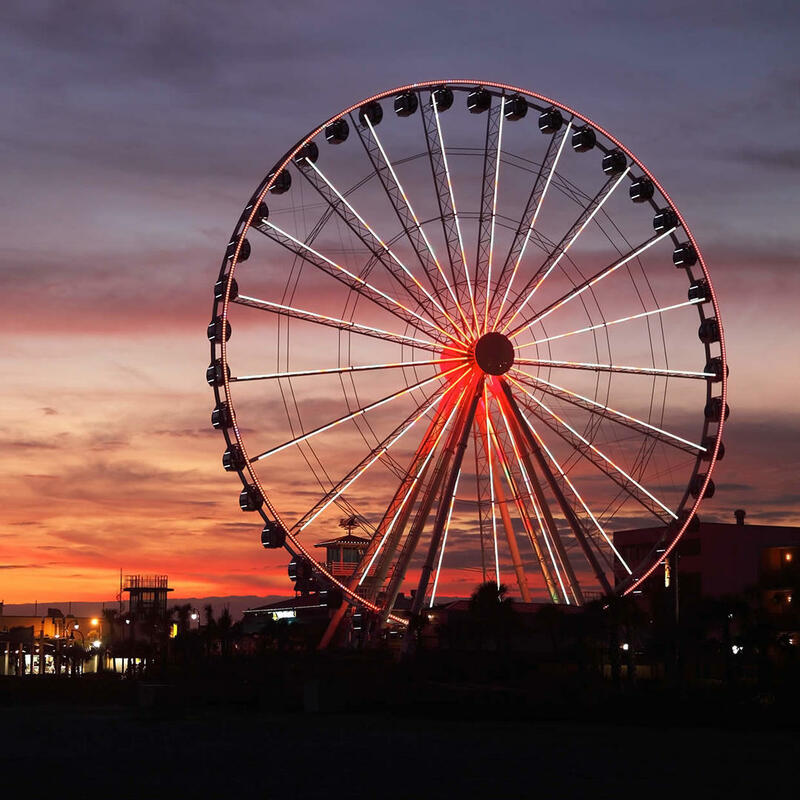 It's also one of the most luxurious boardwalk wheels - with 42 glass-enclosed and climate-controlled gondolas. Pay $14 for a regular gondola or $50 per person for the VIP experience which allows you to ride for 6 rotations.